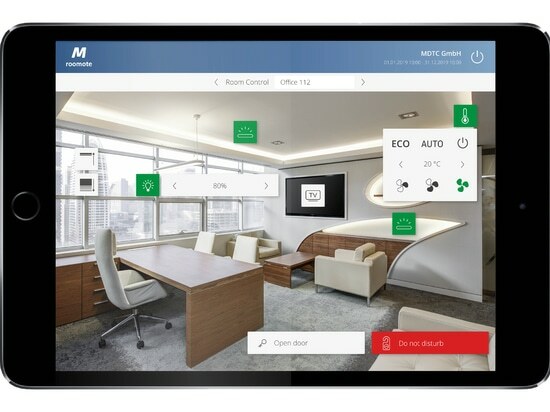 Comfort, safety and energy efficiency paired with the digital age - this is the Mroomote app from MIDITEC. 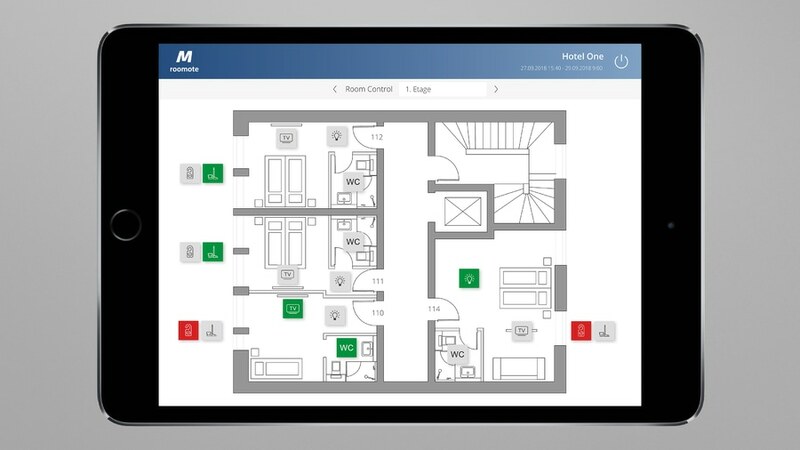 In addition to the door opening, the app now also offers the option of controlling all room components using a smartphone or tablet. The user interface is self-explanatory and individually adaptable to your needs. 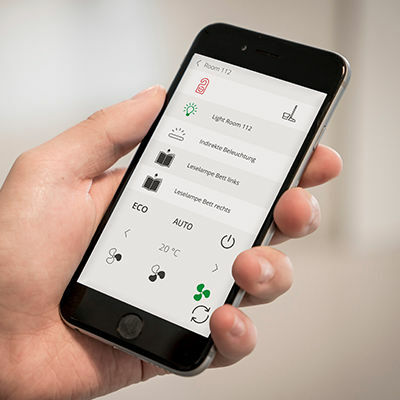 In order to guarantee the guest a unique experience, an HTML interface can be used to parameterize complex dependencies, such as light and climate scenarios or processes. 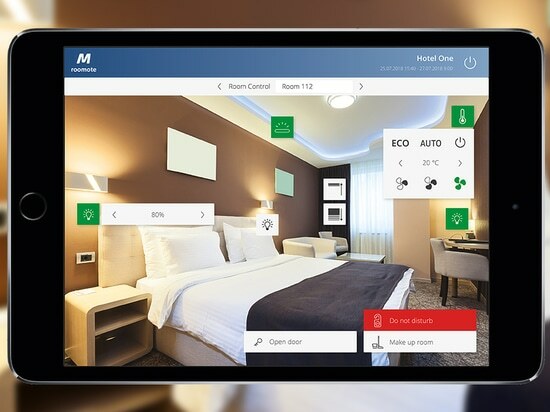 The room automation from MIDITEC is a good example for the perfect interaction of software and sensor technology: On the one hand, a presence detector can provide room service information on whether someone is in the room. On the other hand, the visitor can inform the staff about functions such as "Do not disturb" or "Please clean" if the room should be cleaned. 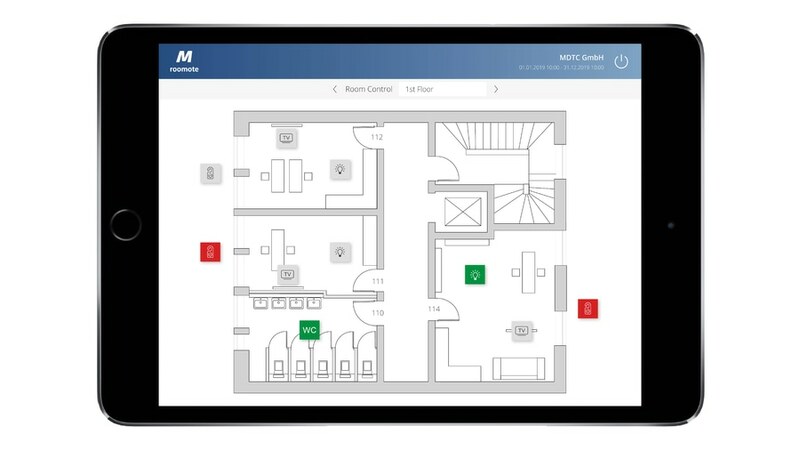 Depending on whether a guest or a service employee enters the room, certain scenarios are activated. The terminal sends a signal to the room controller, which activates, for example, a lighting scenario, raises the air conditioning system to a preset temperature or opens the blinds. But room automation also helps to save energy and thus costs. 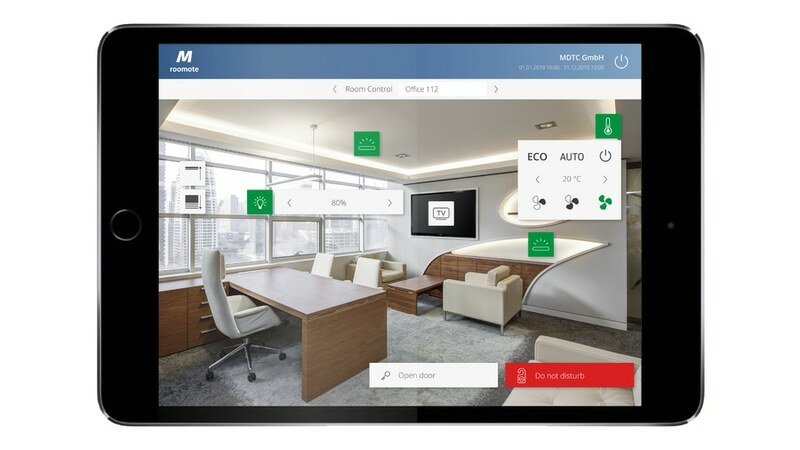 The aim of all MIDITEC products and services is to intelligently network building technology and thus maximize safety, comfort and energy efficiency. For example, if a guest is not in the room, the air conditioner or heater can be shut down to a predefined temperature or the lights can be turned off. 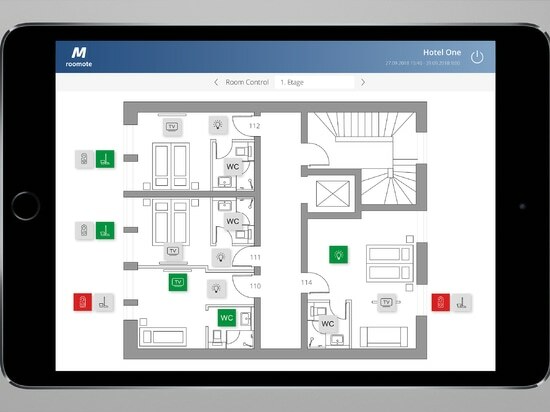 Especially in hotels, a coherent and individually configured system can simplify many processes that benefit both guests and employees. 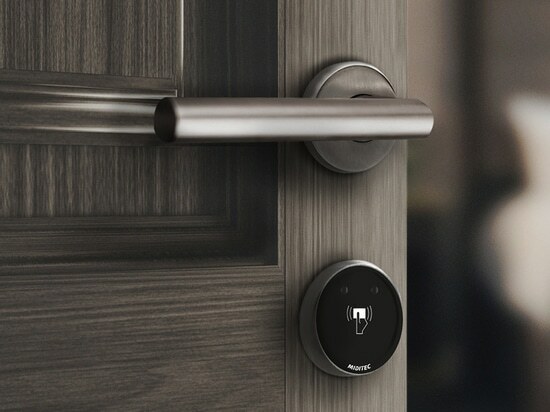 In a very dynamic area such as the hotel industry, the demands on the building and service automation are high: In addition to the building technology, entertainment, check-in and check-out, room service and other, possibly even changing offers from third-party providers must be integrated and easily accessible his. 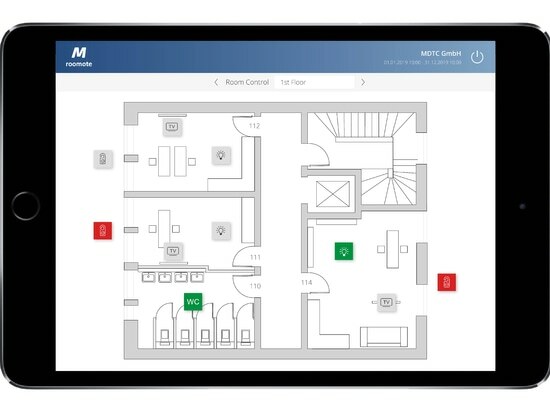 In 2019 MIDITEC plans the additional integration of such services in the Mroomote app.